There are certain things in life which are inevitable and are bound to happen with humans at least once in their life, like love. Lucky are those who experience love and luckier are those who live through it with the person they love. But, what about the reciprocation of love? they are luckiest! Love is a double edged sword, some of you may agree, while being lucky with love, one can also experience the superlative of being unlucky depending on person to person and situation to situation. I recently read, A Walk in the rain, a book by author Udai Yadla who is a mechanical engineer by education, software engineer by profession and a passionate writer and poet. 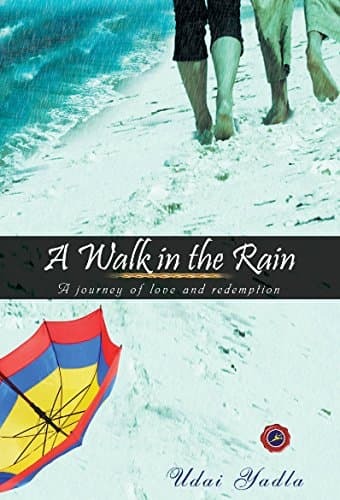 "A journey of love and redemption", is what the book A Walk in the rain is all about. It will take you through the different stages of love at various phases of life, it may also re-instill your belief in love and your viewpoint towards it. A Walk in the rain is not the usual lost and found story of love, it is also about the happenings between the entire episode of lost and found, the change it brings in individuals without changing certain feelings towards an individual. A Walk in the rain is a journey of souls drenched in love, their quest and passion towards the making the dreamlike circumstances a reality. But wait, it's not all and all a love story, there is suspense, there is a thrill and a murder mystery involved. A Walk in the rain is also a take on the social issues prevalent in the society which are human trafficking and prostitution, it also sheds some light on the people at the receiving end of these issues, their life and difficulties they go through. A Walk in the rain is an uncomplicated story told in an impressive way, the characters of Sunny, Sandy and Saloni are well defined and relatable, the nuances of experiencing first love and then losing it are very well narrated, the cuteness of those moments will bring a smile to your face. Sunny is a geek, while Sandy, a chirpy and a lively person, is his childhood love and Saloni is a prostitute who in-spite of the dreadful circumstances, manages to maintain a certain level of self-respect. At few places, the description of the scenes is stretched, however the overall writing with a good pace covers up for that. The one liners in the book are interesting, the subplots which are nothing but life stories and incidents of different character, marry in the end. 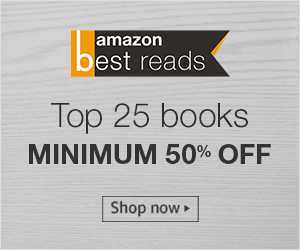 I would recommend, A Walk in the rain, a 234 page long fictional romantic thriller to anyone who is interested in a quick read on cute romance with a mystery around it.